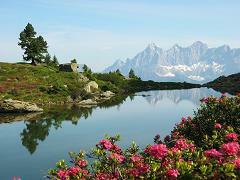 Welcome to Austria a country of great natural beauty, cultural wealth and historical treasure for you to discover ! Enjoy great architecture, art, music, culture, shopping, hiking, walks, fantastic scenery, recreation and much more in the historic cities and towns of the beautiful Austrian Alps. Austrians are known throughout Europe and the world as being one of the friendliest of peoples. Come Experience the gemutlichkeit of Austria – a relaxed happy approach to life. Our travel Itineraries will guide you to the vacation destinations for you to discover the historical and cultural treasures of the country as well as the natural treasures of the Alps and each region. The lake regions and perfect locals for you to relax and enjoy the quiet and splendor that nature has to offer among the Austrian Alps. Your vacation in Austria will be as magical and fantastic as you might imagine and then some. These detailed itineraries – the ultimate Austria Travel Guide will provide you with a worry-free and fantastic vacation. Each itinerary will give you a most memorable and rewarding travel experience – one that you are sure to cherish ! Driving Routes, directions and Scheduling and much more for your Optimal Trip to Austria ! Travel Planning made easy ! This itinerary has organized a great 7 day vacation that includes Vienna Salzburg and the Austrian Alps. We have organized what is the best itinerary you could follow to see and experience what the county has to offer within a 7 day visit. Our 14 day itinerary will guide you in a complete tour of the country. With information needed to visit many of the great sites and attraction of the country including historical, cultural, religious, natural and recreation venues. From palaces, castles,fortresses, cathedrals, churches and theaters to cable cars, lake and river cruises, festivals and much more ! you wont miss any of greatest and most impressive sites of the city. There is much to see in this magical city of music and history. 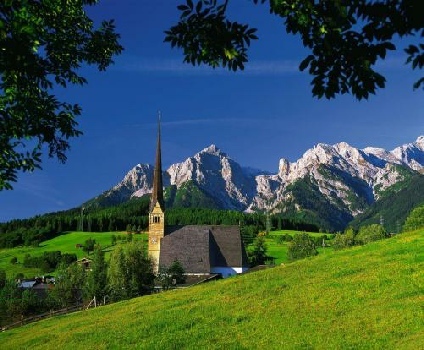 A vacation in the province of Salzburg will give you a great introduction to the Austrian Alps. A 21 day vacation in Austria will be a most rewarding experience for you! A country of great natural splendor, rich culture and historical treasure that our guides organize into daily itineraries for you to follow.